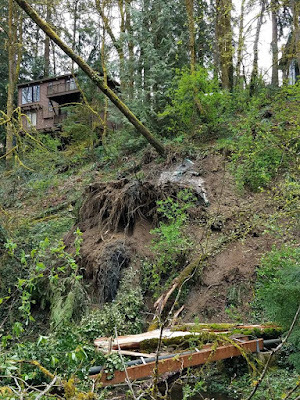 Update: NE 180th St was reopened around 1pm on Saturday, April 13, 2019. NE 180th St in the 3300 block of Lake Forest Park is CLOSED. Find another route. 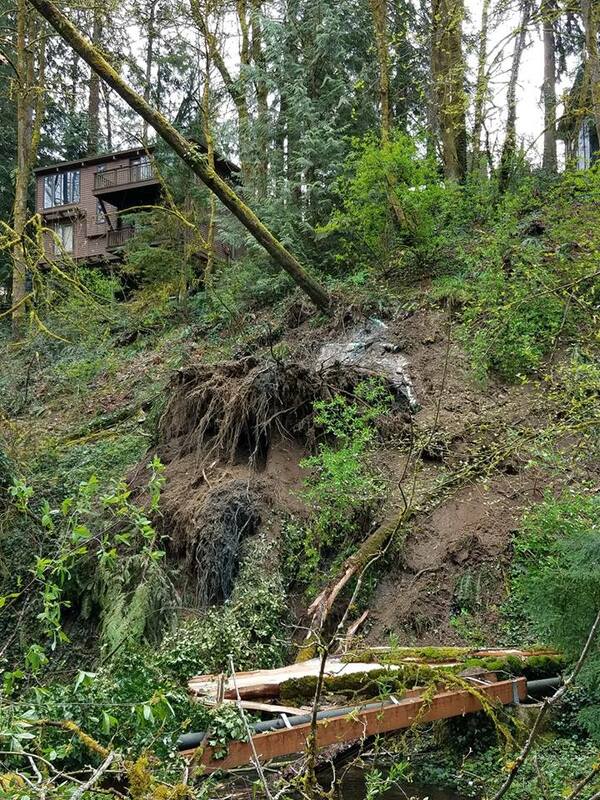 Apparently multiple trees have fallen or are in danger of falling across NE 180th St in Lake Forest Park. The police department says "This is a big mess!!" After surveying the situation, Public Works has determined there are a number of public safety issues which involve private property owners. The City is working with these property owners and assisting in any way they can. Unfortunately, due to the complexity of the issues, we anticipate this road closure to extend through the weekend. 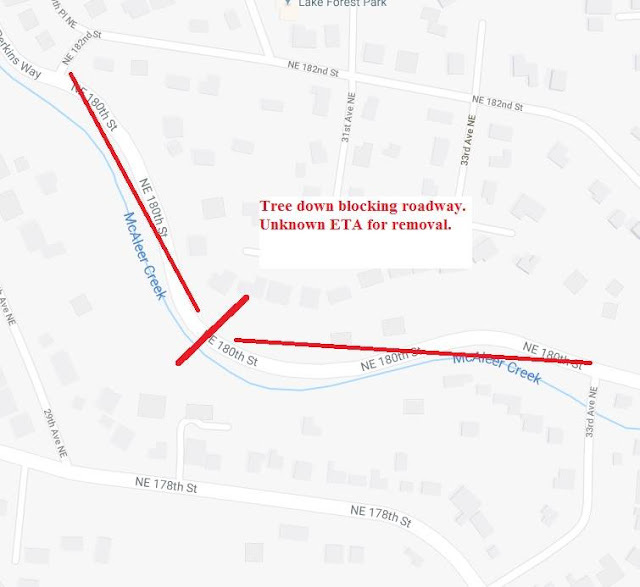 Please plan accordingly and use alternate routes. We will advise the public when the road is reopened.